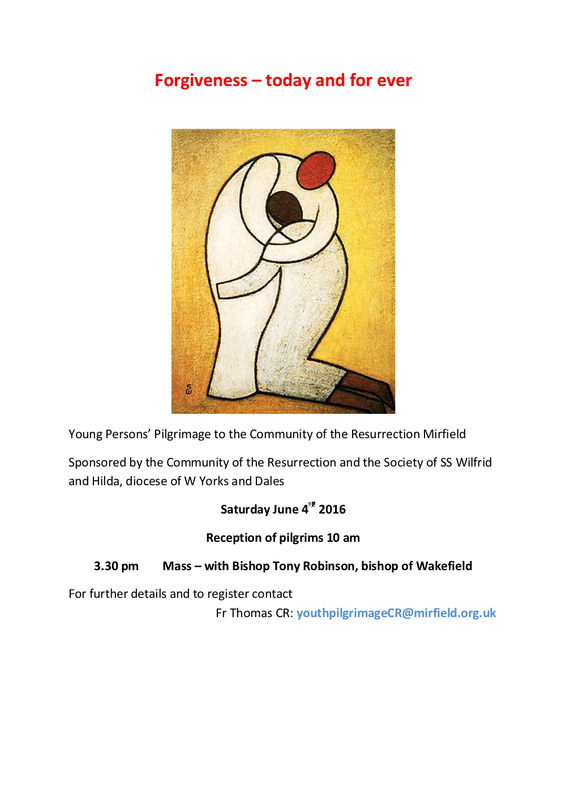 On Saturday 4th June 2016, young people from across the North of England will gather at the Communiy of the Resurrection in Mirfield for a day of worship, prayer and fellowship. We will be exploring the meaning of forgiveness and what it means to seek it from God. More information is available from the pilgrimage website. The day is sponsored by the Community of the Resurrection and The Society of SS Wilfrid and Hilda, Diocese of West Yorkshire and The Dales. The Winter 2015 edition of Together is out now and can be found here. Amongst the many excellent articles is a reflection on the Sheffield Crossroad Mission. Read it on page 13.